It happened the other day that I received gratis a copy of a newly published study bible. As a bibliophile, I was at first struck with incredible excitement. It was a new book, a new bible, and the notes in the bible were written by many of my mentors and friends! However, this excitement soon turned to contemplation. First, the practical. I already have a bible I use often. Second, the issue that concerns this 2013 Reformation Day reflection. I picked up my newly un-sealed bible and for a moment spoke with my colleague about receiving it (he had received a copy as well, and with similar jubilation and contemplation). I expressed my excitement, but then I was that guy. I pointed out the elephant in the room. I asked him, “Do you ever believe that the publication of more and more study bibles is too much? Do you think it could be a temptation to greed?” He responded that he had also wondered the same. The topic of this reflection is publishing, its availability to almost all people now, and our responsibilities in light of that. As a PhD candidate I have entered a world where publication is king! It can get you on the short lists for jobs, and can define your career in many ways. It is very important. However, those who are not PhD candidates, or in broader academia, also face pressure to publish. The pressure comes through social media outlets and blogs. WE MUST STAY RELEVANT! The avenues of publication are vast and available to most who would choose to do so. Our culture is currently experiencing the largest boom of publication in history. 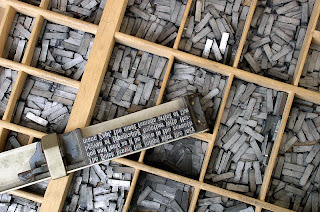 The rate and consumption of published material in our time is closely analogous to the mid-1500s when Johannes Gutenberg got his printing press up and running. One of the benefactors of this cutting-edge technology was Martin Luther. Therefore, rightly on Reformation Day, we will observe some of Luther’s thoughts on publishing his own thoughts. And we will attempt to more broadly apply to our time what Luther’s personal thoughts on publication might have to say to us today. We find Luther’s statements in a letter to Wolfgang Capito, dated July 9th, 1537. 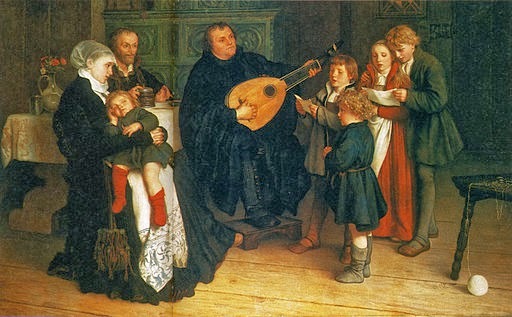 Luther informs Capito of his wish not to have his works published. Luther says, "Regarding [the plan] to collect my writings in volumes, I am quite cool and not at all eager about it because, roused by a Saturnian hunger, I would rather see them all devoured." (LW 50, 171-173). 1) Luther worried that reading his works might reduce the study of Scripture. - Our publishing should guide a reader to Scripture and the glorification of God as its primary goal. It should not detract from these goals (at the very least). 2) Luther realized that some of his writings originated in temporary, restricted circumstances. 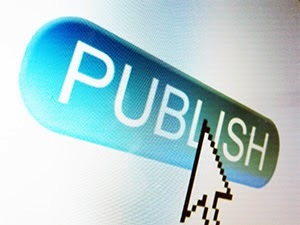 - Our publishing should have a reader in mind. As I once heard it said, “everyone’s challenge is no one’s challenge.” Also, as an important note, we should be humble in light of the movement of history. Vanity, Vanity, the teacher says – nothing is new under the sun. We have to understand that our writing may or may not make a difference in our time, and submissive to the fact that it may have no relevance even a year from now, let alone 100, or 500! 3) Luther changed his attitude toward the papacy. -This is an important point. We should write with humility realizing that we have not realized our goal yet. We are also not the theologian, doctor, educator, etc., with the spot-on conclusion on any matter. We are always learning, and we should write with respect to our ever-changing and ever-sanctified view on God, His Word, people, and the world. 4) Luther was convinced that writings by other theologians were more significant than his own writings. - When we publish we should treat others with deference, and seek to cultivate an environment of respect and love through our publication. The dialogue we pursue through publishing can only be successful if we hold others’ opinions as greater than ours, and write in a way that expresses such an attitude. We are other glorifying in our writing. 5) Luther realized that such an edition [of his works noted above in the qoute] would be so expensive that the edition would collect dust in libraries, and only the rich could afford to buy it, while the common man could by no means afford it. - A lot can be drawn from this observation from Luther. First, I would say it means we should have a pure concern for publishing, if we are convinced what we write is needed. Publishing for a living seems ok. Publishing unnecessarily for gain seems to pervert the purpose. More allegorically, yet related, we can view any publishing and consumption as investment. There is always a cost when publishing, even when publishing status’ on social media. 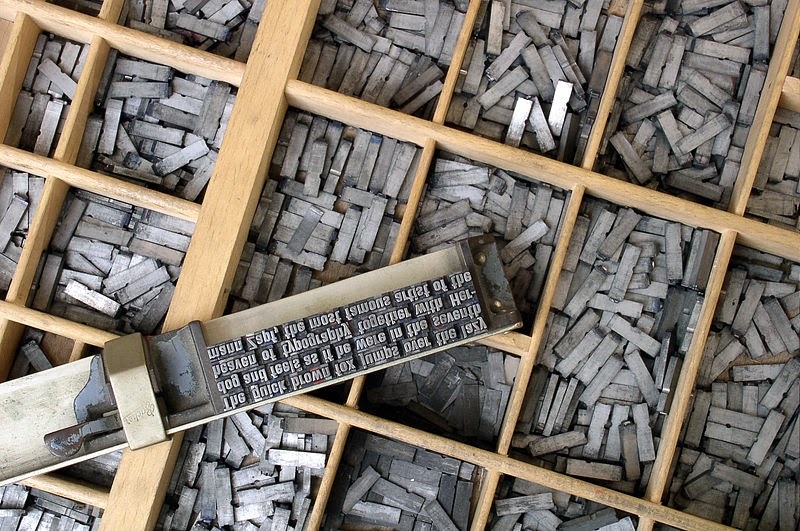 What does your publication “cost” then in a metaphorical sense to others? What will they pay for what you write (I was tempted to write “say,” but resisted with your cost in mind). Via blogs, social media, and not simply journals and books, many more have the opportunity to publish today more than ever. For many this opportunity can be turned into compulsion. Our identities can seem to ride on our relevance. Our Reformation reflection today calls us to contemplate the dissemination of our thoughts to the world. Is our publishing self aggrandizing? Or, is it God and other glorifying? Is it for cheap gain? Or, is it for the edification of those who invest in understanding something from our point of view? Is it arrogant? Or, is it in humble submission to our finiteness (finitude?)? Can we truly say that, if God desired, we would gladly see our books disappear under a pew somewhere to collect dust for eternity – or our status' get 0 ‘likes’ – or, our blog get 0 hits? I am happy to say that for the study bible noted in the beginning of this reflection that Luther’s principles appear to hold true, and it is now on the reader if purchase of such a volume is necessary, or greed. A publisher cannot make up the mind of a potential reader, they can only be assured their "conscience is captive by the Word of God." Happy Reformation Day! Very insightful. I completely agree with the increase in publications. I have slimmed down my auxiliary books to a handful. It felt like a weight was lifted off my shoulders. I spend more time in the bible and less time looking up something that I could draw my own conclusion on.